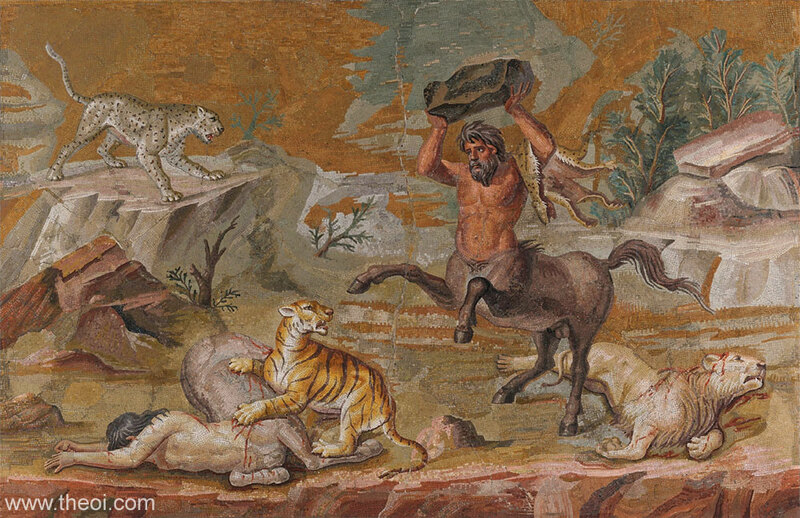 ca 118 - 138 A.D.
A Centaur casts a large rock at the tiger which has killed his mate. The Centaurid (female Centaur) lies dead beneath the beast's claws. Two other big cats complete the scene--a dead lion on the far right and a white leopard on the rocks in the background.